In addition to his influential role in contemporary philosophy, Alain Badiou​ is also a political activist. In the penultimate essay of his series on the French thinker's ideas, Andrew Robinson summarises Badiou's work with the Organisation Politique in the context of a wider critique of his political theories. 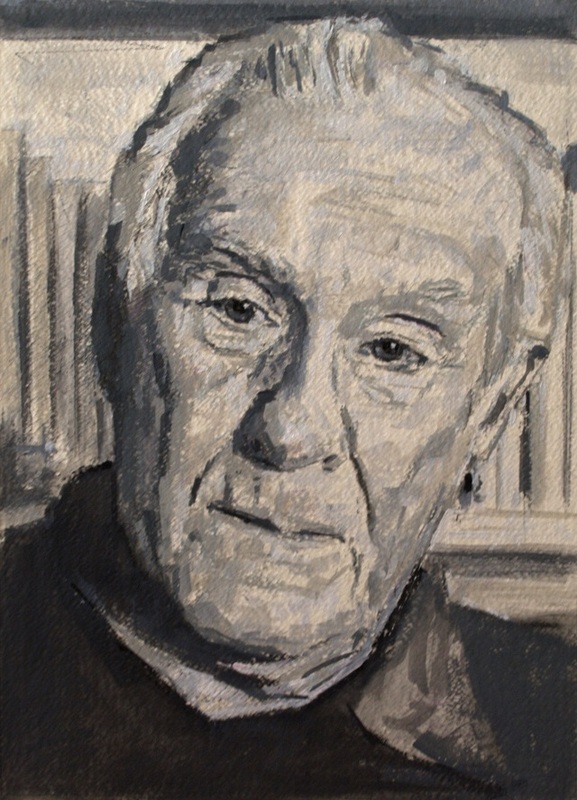 In addition to his influential role in contemporary philosophy, Badiou is also a political activist, involved in a post-Maoist groupuscule called the Organisation Politique (O.P). In this essay, the ninth of ten columns on the French thinker’s work and the second dealing with his applied political views, I will attempt to draw up a summary of Badiou’s work with the O.P., as well as off a wider critique of Badiou’s political theories. Badiou’s political orientation, and the O.P. In his early life, Badiou was a Maoist. He was involved in revolutionary groups in the post-1968 period, and was accused by rivals of trying to take over his university. This pitted him against Deleuze, Lyotard and others. While his Maoism is now less pronounced, Badiou has retained a lifelong skepticism towards anarchism and the politics of desire. He sees such movements as too directionless. In his view, they exaggerate the potential of spontaneous, leaderless movements. He does not believe that mass processes or people following their desires will reach revolution by themselves. For Badiou, a force such as Negri’s ‘multitude’ is not disciplined enough to detach itself from the existing ‘state of the situation’. Badiou also (problematically) associates drift and becoming with the inner dynamics of capitalism itself. He sees discipline, rather than spontaneity, as the other of capitalism. Badiou claims that power and resistance cannot be counterposed. There is no such thing as a revolt against a purely static regime of power. Both power and resistance are internally split. If revolt is a pure Other of power, its origin is unclear. Anarchists usually argue that revolt comes from a force or space external to the system – autonomous everyday relations, repressed desires, the politics of the excluded and so on. Badiou rejects this type of argument because he believes that the present is completely an effect of the state of the situation. This rejection means that the party-form can still be used. Most recently, Badiou was (with Sylvain Lazarus, Natacha Michel and others) a leading figure in L’Organisation Politique (OP). This was an experimental organisation which resembled a party but which also favoured autonomous action by workers and refugees. The OP ran a newspaper which published coverage and analysis of political struggles – similar to Trotskyist papers in the UK. Some of Badiou’s most practical analyses appeared in this publication. The OP existed from 1985 to 2007. Calling itself ‘post-Maoist and post-Leninist’, the OP was somewhere in-between a Leninist party and a left-anarchist federation. The OP opposed both mass spontaneity, deemed liable to burnout, and institutional parties, liable to corruption. The OP insists that only organisations – not social movements – can sustain political Truths, or ‘prescriptions’. It was an attempt to actualise Badiou’s idea of a subject following through a truth-procedure focused on the void of the situation. The axiomatic status of political principles, particularly justice. Political alignment is ungrounded. The only true political question is “what is to be done”, from a standpoint of militant intervention. True politics seeks to change the whole situation, in the universal (or generic) interest. It opposes this universal interest to particular, vested interests. This entails viewing the situation from the standpoint of the excluded part. The ‘figure of the worker’ (figure ouvrière), the idea of the worker as a subject, within the factory. The derivation of this figure is similar to that used in Situationism: everyday contestation. Its definition is constructed in such a way as to resist managerial power in the workplace, and the reduction of antagonism to management. Support for the struggles of undocumented migrants (sans-papiers), on the basis that “everyone who is here is from here”. The emphasis is on self-activity and ‘autoconstitution’ of the sans-papiers as a political subject which is simply ‘there’ – not alien or invisible. They have their own political capacity which the state must take into account. Badiou and the OP argue for a particular kind of anti-capitalism which opposes the reduction of class relations in the workplace to economic, managerial and technical relations. The obscurance of the ‘worker’ as subject has led to a type of national politics in which politics is managerial and accountant-like, a ‘balance-sheet’. Badiou distances politics from economics, arguing that only capitalists see things in economic terms. Policies justified by economic necessity are always reactionary. Decisions (such as flexibility in the workplace) which seem to be economic, in fact stem from a particular political prescription regarding how the workplace should be arranged. For Badiou, the ‘economic’ should be replaced by the ‘political’. A truly radical position asks what kind of politics is incompatible with the demands of capital. The underlying vision of workplace relations as conciliable or antagonistic, permanent or contingent, structures how the political conflict in the workplace is seen. Furthermore, the demonisation of immigrants stems from the exclusion of the antagonism between capitalism and workers. In Theory of the Subject, Badiou suggests that the Lacanian ethical imperative – do not give up on your desire! – runs against the capitalist demand to engage in the ‘service of goods’. People cede to their desire to obtain a particular ‘good’ which the system offers as a bribe. This ‘good’ is necessarily part of the order of places – the state of the situation. (This applies to collective as well as individual subjects. When a Party gives up its desire, this leads to bureaucratic degeneration. Badiou is thinking of the Russian Communists, but this also applies to the Brazilian Workers’ Party, the German Greens and so on). To give up on one’s desire is to give up on being a subject, and accept being merely a place. Yet Badiou also suggests that one must ultimately cede to a new order of places. Later, Badiou drops the Marxist vocabulary of his early work. However, he continues to bemoan the ‘retreat of the political’ which has accompanied the decline of Marxism. He sees this retreat as leading to an illusory representative connection between society and the state. The OP’s workplace strategy encouraged self-organisation by workers, into small cells called Noyaux. Badiou and the OP opposed trade-unionism for connecting workers to management and the state. Noyaux should be small, tightly-knit groups based on political prescriptions – something halfway in-between an affinity group and a party branch or guerilla cell. These groups aim to be impenetrable to management, the state, and unions. The main distinction between Noyaux and unions is that Noyaux are based on self-activity. Their demands, however, are similar to those of unions. The OP’s particular kind of politics emphasised the discursive aspects of social struggle, as well as the configuration of classes. In its analysis of the 1992 Renault strikes, the OP emphasised the conflict between the real sackings of workers and the managerial illusion that they were agreeing to leave. Attempts to pressure workers to sign leaving papers were seen as an attempt to destroy workers’ existence as a subject. As well as worker organisation, migrant struggle was a major focus for the OP. In Badiou’s current theory, undocumented migrants are the main excluded part of the current situation. They occupy a place which cannot be recognised in the dominant ‘state of the situation’ (by the political state or in the dominant discourse). Their inclusion would produce an expanded situation (a process of ‘forcing’), increase equality, and break the existing ‘count-for-one’ (which is national). There are many indications that this is the point at which Badiou expects an Event to occur, around a slogan such as “undocumented migrants belong here”. The OP has analysed political attacks on migrants as a kind of fascistification or ‘LePenisation’ of the French state. The purpose of such measures as the Pasqua Laws is to reject political equality. Instead, such laws create a division of the political community into in-group and out-group. The national space is then hegemonised in terms of a certain set of norms, and the goal of integration. Oliver Feltham talks about the 2005 banlieue revolts in similar terms, as the emergence as a subject of a group who simultaneously belong and do not belong in France. The confusion and lack of comprehension exhibited by the state and the mainstream were clear signs of the Evental status of the unrest. On the other hand, Badiou rejects various kinds of liberation movements as too substantive. A politics which starts from an identity – from being oppressed as woman, Black, Arab, gay, and so on – for Badiou simply demands a place in the status quo. A particularity only becomes revolutionary when it has a connection to the excluded part. The excluded part also has a particularity, but this is not relevant to its Evental role. Badiou and the OP have an unusual approach to nationality. They accept the existence of a national unit. But they maintain that this unit must be radically neutral as regards ethnic and cultural particularity. Everyone who is an “element” in a particular national set must count for one. In contrast, any state which founds itself on communal or ethnic characteristics is in a permanent state of war and tension. This position is partly continuous with French Republicanism, and pitted against both ethnonationalism and civic nationalism. But Badiou has radicalised it to a point where it becomes progressive. Nevertheless, the question remains of whether everyone is an “element” in a national set. How are elements to be defined? Relative to a national economy? In which case, surely globalisation renders the national “set” obsolete? Badiou also treats the process of universalism unleashed by capitalism as irreversible. There is no possibility of defending local particularities against globalisation. Instead, universalism should be extended. There was also a strange moment when the OP theorised constitutional reform – arriving at a model which, in Hallward’s terms, is ‘very like the British Constitution’. The OP seeks a political system in which there is always a winning party, and the head of the winning party is always the head of government. This preference for centralisation – as opposed to checks and balances – is a worrying implication of Badiou’s decisionism. Generally, however, Badiou rejects any idea of legitimate sovereignty. Politics has to be carried on at a distance from the state. Badiou’s political approach seems, at best, rather incomplete, owing mainly to its totalism. Certain situations seem not to be theorised. In particular, there are persistent situations where a more-or-less articulated “hidden transcript” coexists with a dominant discourse. And there are situations where an armed counter-power – Maoists, the FARC, the Zapatistas, the Taliban and so on – are able to create autonomous power without taking over the situation. The conflict for control of space can continue for decades or centuries (think of the Mapuche, for instance). This isn’t a “pure” position of irrelevance to the situation, but nor is it a reconstruction of the situation. Another criticism is that Badiou neglects mechanisms of power. Hallward argues that Badiou lacks a nuanced notion of either hegemony or micro-power. He resorts to an overly simplistic contrast between the state and the subject. This criticism has perhaps been partly addressed by the new emphasis on degrees of appearance. But it seems impossible to fully address power while remaining aloof from the qualitative and from relations. Badiou’s work has taken steps over time towards an increasingly autonomous model. He no longer clings to the vanguard party as a political form. His recent works could conceivably be developed as theories of the development of radical affinity-groups. However, Badiou remains hostile to autonomous currents of social movements, as well as to theorists such as Deleuze and Negri whom he associates with such currents. This hostility has not prevented more autonomously-oriented authors from using Badiou’s work. For instance, Raymond van der Wiel uses Badiou to analyse the Zapatistas, and Benjamin Noys argues for similarities between Badiou and anarchism. There’s even terminology and framings of problems from Badiou in The Coming Insurrection – alongside themes from Negri, Deleuze, Agamben and others. One can hardly read of an ‘experimentation with new arrangements, new fidelities’ and ‘the bursting of the historical bubble in which we are living — and which makes possible events like the anti-CPE movement’ (the 2006 youth revolt against neoliberal contracts for new workers) without hearing the voice of Badiou in the background. The emphasis on subordination of oneself to a Truth is one of the more worryingly authoritarian aspects of Badiou’s work. One could argue, following from Marx’s critique of Fichte and Feuerbach, that Badiou is an idealist. He places fidelity to a proclamation or naming – in other words, to ideas – at the heart of his politics. This entails subordinating real forces to a reactive ideal order of “self-deadening shoulds”. Badiou would doubtless seem naive to scholars in the field of Science and Technology Studies (STS). He uses a more-or-less Realist approach to maths, which treats it as a socially de-situated practice which abstractly reconstructs reality. He is also inclined to speak of maths and science as processes of self-signification of reality, or signification without social input. This goes against the extensive research in STS, by people such as Kuhn, Latour and Bourdieu, about the social context of science. All sciences are produced by groups of scientists who exist as social communities. The acceptance of particular claims or approaches as scientific is largely a matter of acceptance by the scientists in a particular field. Science is no more a de-situated flow of signs than any other social practice. Maths is somewhat different from empirical science. Nevertheless, its evolution follows a similar process of social construction among specialists. For example, set theorists do not refer to inconsistent multiplicity as a void because they have discovered its fundamental reality. They refer to inconsistent multiplicity as a void because this is a neat way to describe its significance for their theory. Whether it is a void from any other point of view is undecided. To allow this particular group of specialists to decide – based on usefulness to their discipline – the nature of social contingency across the entire scope of reality, seems at best an arbitrary thing to do. In addition, from an STS point of view, maths has origins similar to those Deleuze suggests. Maths starts from counting and geometry, and only later elaborates set theory, as a solution to particular problems posed by the differential calculus. The motivation all along the process is pragmatic, right up to the last stages, when a decision seems to be taken to try to preserve the count-for-one in situations where maths doesn’t seem, on the surface, to apply. In addition to impinging on Badiou’s claims to de-socialised “austerity, STS provides alternative models of scientific change. In Kuhn’s theory, for instance, the anomalous fact plays a rather different role from Badiou’s void. The anomaly is not necessarily denied in the situation, but it is not usually seen as important enough to alter the entire approach of a science in a normal situation. In Kuhn, the anomaly looks more like a substantive reality which cannot be captured by existing science, than like a void at the base of being. The social operation of maths is always a lived practice, which is put to particular uses. It also varies between social groups. In particular, indigenous groups often use non-standard forms of maths which use cyclical instead of linear reasoning, and which do not recognise zero. Some authors, such as John Zerzan, go as far as to portray maths as a form of alienation. And as Hallward notes, the absence of maths seems to condemn entire cultures, in Badiou’s terms, to untruth.